Jon Roberts, Custom Storefronts, Inc. Custom Storefronts designs and builds the storefronts for some of the most iconic retail businesses in the world—companies like Nike, Gymboree, Express, Anthropologie, and Sephora. They do all the design, metalwork, and wood fabrication to give these stores the signature “look” that customers love. With substantial growth over the past 4 years, it was time for owners Jon and Camille Roberts to look for a new business “home.” Leasing multiple spaces was no longer working for everyone, and was creating inefficiencies. 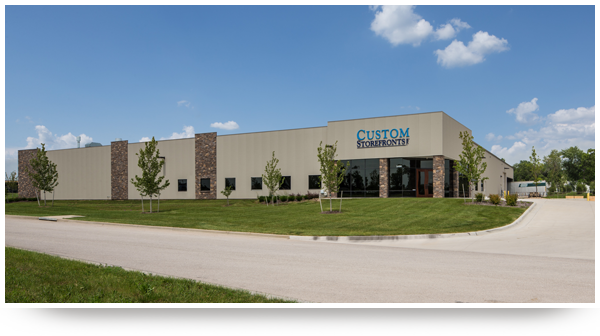 The Roberts worked with Heartland Business Capital to obtain a loan for land and new construction in Olathe. HBC provided permanent financing, and worked with their local bank to help finance the construction. The new 32,000 sq. ft. facility helped them to bring all of their offices and warehouse space together under 1 roof—and grow to a new high of 46 employees. Want to learn more? Visit www.customstorefronts.com.